Greg Craig in 2009. Photo by Pete Souza, via Wikimedia Commons. 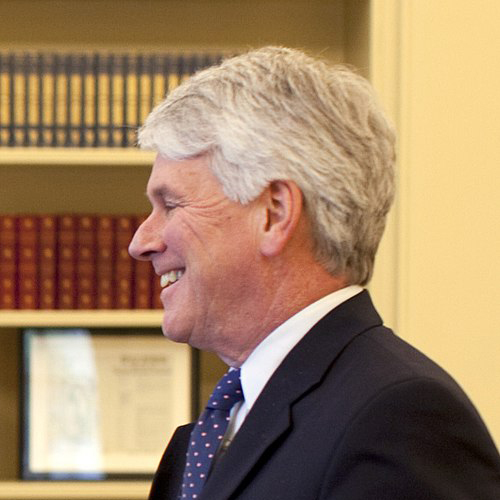 Former White House counsel Greg Craig was indicted Thursday in connection with a report he prepared for Ukraine while working at Skadden, Arps, Slate, Meagher & Flom. The indictment accused Craig of making false statements to the Justice Department when it was investigating whether he should have registered as a foreign lobbyist, report the New York Times, the Washington Post and the National Law Journal. The indictment says Craig withheld material information about his contacts with reporters who wrote about the report, and failed to disclose he had facilitated the hiring of a public relations firm that could craft strategy for the report’s release. Craig was White House counsel in the Obama administration. Manafort was sentenced to a total of 7½ years in prison in two cases, one of which alleged he used offshore accounts to dodge taxes on money he collected while working as an unregistered against for the Ukrainian government. Manafort had hired Skadden to prepare the report for the Ukraine Ministry of Justice that assessed the fairness of a trial of a former Ukrainian prime minister. Western governments had criticized the prosecution as politically motivated and unfair. The Skadden report had concluded the conviction was supported by the evidence, though the official who was tried was denied counsel at critical stages of her trial. Neither Craig nor Skadden registered as a foreign lobbyist under the Foreign Agents Registration Act. In a civil settlement in January, Skadden agreed to pay more than $4.6 million to the U.S. Treasury, money received in connection with the Ukraine work. The law firm also agreed to register retroactively as a foreign agent of the Ukrainian government. Craig left Skadden in April 2018. The Justice Department unit overseeing the registration of foreign lobbyists had contacted Craig about registering after he was quoted in a New York Times article discussing the report. Craig did not want to register as a foreign lobbyist because he believed it would bar him or other members of his law firm from taking positions with the federal government in the future, the indictment says. Registering would also require Craig to disclose that a third party—a wealthy private Ukrainian—had paid Skadden more than $4 million for the work, and that the law firm had a parallel agreement with the Ukrainian government to assist in prosecuting the convicted prime minister on additional charges, according to the indictment. Craig had written a memo to file listing several reasons why the prime minister would have been granted a new trial in the United States. He also wrote that evidence of her criminal intent is “virtually nonexistent,” but did not include that conclusion in the report, the indictment says. Craig’s lawyers, William Taylor and William Murphy of Zuckerman Spaeder, said in the statement that Craig prepared the report “as an independent expert on the rule of law, not as an advocate for the client.” Craig spoke to the New York Times “to make sure the newspaper would accurately summarize the report’s criticisms” of the trial, the statement said.